The Danish designer Peter Johansen designed a wooden hook that has the shape of the letter "J". The wall hook Curve by Normann Copenhagen has a classic shape and immediately and intuitively reminds us of its function. The multifaceted curve gives it a refined look and offers precision to the oversized design. Curve is a wall hook in its most traditional and symbolic form. Various objects can safely be hung up on it, including clothes, bags and accessories. 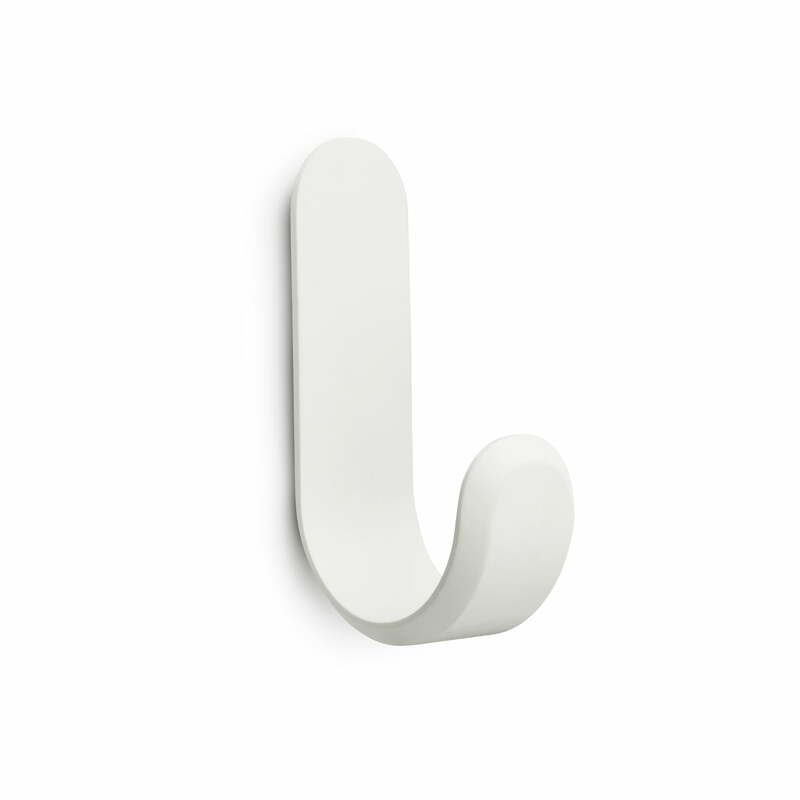 Reminding us of the classic Danish design of the 50s, Peter Johansen designed the wall hook with a modern appearance. The original idea was to create a normal shaped hook, whose appearance was adapted and refined. The wide shape and the clearly recognisable wooden structure has a humorous expression full of character and warmth. Peter Johansen explains: "I have always liked hanging things up. I am fascinated by the shape of hooks and find its function interesting. Many have stopped using the small loop on their jackets. The hook has to be wider in order to protect the clothes. Curve is intended as a humorous piece of furniture on the wall. People can hang 1, 2, 3 or 10 of them for various purposes." The Curve clothes hooks are made from moulded wood and are available in cool Scandinavian-inspired colours. Every colour embellishes the – often white – walls of corridors with the clear Nordic expression. A single hook has the ability to instantly add character to the surrounding space while several, arranged in a row or a specific pattern, will have a decorative quality in any home.